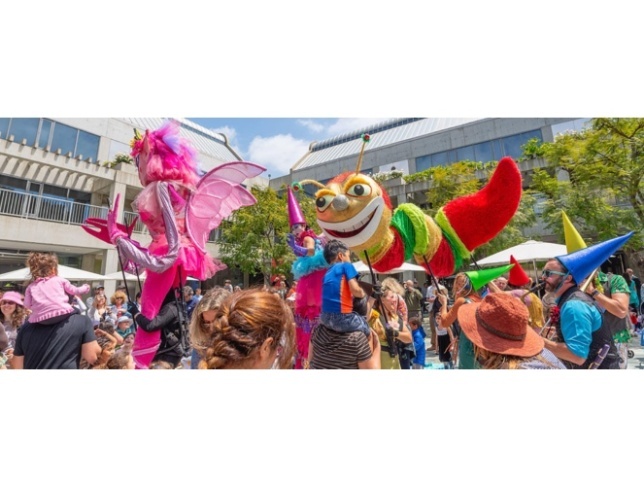 Celebrate the art of puppetry and the magic of storytelling at the Skirball’s eighth annual Puppet Festival. This campus-wide, daylong festival features new and classic tales told with a variety of puppets, live music, and art making. It brings together talented puppeteers and artists from across the country, working in a range of cultural and artistic styles. This year’s program features amazing animals—both real and imaginary—and includes performances and creations by the North Carolina–based puppeteer and designer Hobey Ford and local artists Yulya Dukhovny, the Los Angeles Guild of Puppetry, and the legendary Bob Baker Marionette Theater. Design your very own puppet and join storytellers and puppeteers for the festival finale with funk band Delta Nove. A day of imaginative storytelling and innovation is sure to amaze visitors ages 2 to 102. The mission of the Skirball Cultural Center is to explore the connections between four thousand years of Jewish heritage and the vitality of American democratic ideals. It seeks to welcome and inspire people of every ethnic and cultural identity in American life. Guided by respective memories and experiences, together they aim to build a society in which everyone can feel at home.